It all started when I finally found my first dungeon. I was very excited. Then I found out that there was only a lame zombie spawner and a couple of chests full of dumb stuff like string and buckets. I got the idea that I should make a mod to fix the dullness of dungeons. NO THE FLOOR IS NOT DIAMOND, IT IS EMERALD FLOOR! 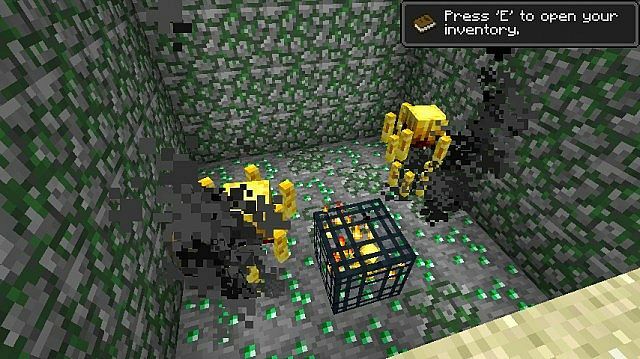 You can now find diamonds, gold, golden apples, iron, ghast tears, and lapis blocks commonly in dungeon chests! You can find diamond blocks rarely in dungeons chests! Now you're thinking: Wow! Let's run into some dungeons and steal some loot! Piece of cake! But no, you'll have to get through insane monsters! Now with creeper, cave spider, blaze and enderman spawners! Now instead of cobblestone, find Mossy Cobblestone, and instead of Mossy Cobblestone find Emerald Ore! Drag and drop into minecraft.jar. Enjoy happily stealing amazing loot then getting slaughtered by angry creepers! If you like this mod, please give me a diamond. Thanks! Duke can you give me the code for Items Spawning in dungeons? So what be the code for Items spawning in dungeons please. 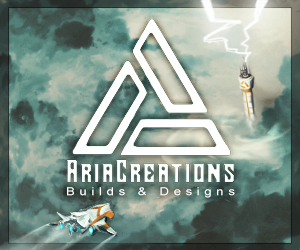 I made a mod spotlight on this mod. I really enjoyed it, but I just wish the dungeons weren't the same size, and were sometimes twice or three times larger than a normal dungeon. Still an awesome mod! duke, i tried adding this mod to my forge. i'm not sure if its not compatable, but i found the nearest dungeon and it looked the same as always... know why? The emerald floor is much better than diamonds. Much less OP, but still valuable, as emeralds cannot turn into tools, but you can buy diamond stuff from villagers. Does this require Modloader or Forge, please respond. Ps: Thanks for updating, I loved this mod! Requires none, works with both. Really overpowered in my opinion. It isnt a diamond floor, it is emeralds. You sure about that? Where you gonna find those dungeons? 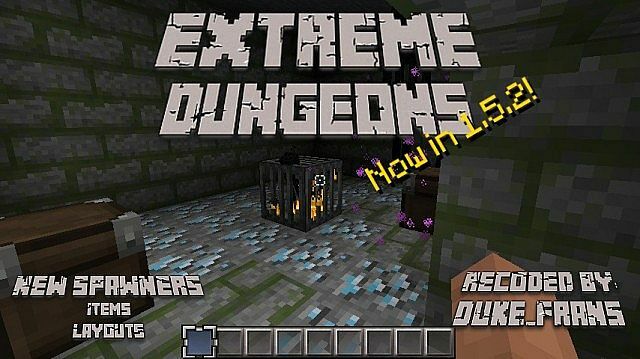 He doesn't want 40 diamonds for each dungeon because they're so easy to just mine below it and get the floor that's made of diamond ore and also loot the chests without getting harmed at all, Minecraft is such an easy game and this mod just makes it 4x easier, diamonds are supposed to be rare. Emeralds are even more rare are they not? They server 1 use: trading. Yeah, and the ghasts and blazes constantly firing at you aren't gonna add to the challenge or anything. Oh no, a mob that takes 2 arrows to kill! (ghast) :O and holy moly, a mob that dies in water! (blaze) oh my gosh they're so difficult to take care of! and to top it off a spawner can be broken, oh no! it's so damn difficult man, i feel where you're coming from. ^^^^ I think the same way... but there will be newbies that play MC in peacefull mode..
if i install it, can i still playing on servers? and 1 thing, 1 diamond for u! Ofc you can still play on servers! Also, does this mod work with forge? Diamond for you good sir! duke did you know this seed or did you take it from my post?